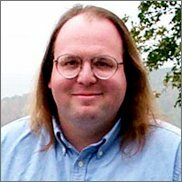 Ethan Zuckerman became a fellow of the Berkman Center at Harvard in January, 2003. His work at Berkman focuses on the impact of technology on the developing world. His current projects include a study of global media attention, research on the use of weblogs and other social software in the developing world, and work on a clearinghouse for software for international development. In 2000, Ethan founded Geekcorps, a non-profit technology volunteer corps. Geekcorps pairs skilled volunteers from US and European high tech companies with businesses in emerging nations for one to four month volunteer tours. Volunteers have served in 14 nations, completing over a hundred projects, and will serve in Ghana, Senegal, Mali, Vietnam and Morocco in 2004. Geekcorps became a division of the International Executive Service Corps in 2001, where Ethan served as a vice president from 2001-4. Ethan was given the 2002 Technology in Service of Humanity Award by MIT's Technology Review Magazine and named to the TR100, TR's list of innovators under the age of 35. Recently, Ethan was named a Global Leader for Tomorrow by the World Economic Forum. He lives the Berkshire Mountains of western Massachusetts with his wife Rachel. He serves on the boards of regional and international organizations that focus on technology and education, including on the sub-board of the Open Society Institute's Information Program.